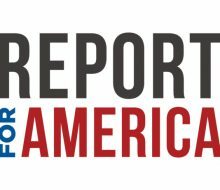 Quick thinking and persistence enabled The Associated Press to lead with its video coverage of terrorism on two continents in the same week: an attack on Notre Dame Cathedral in Paris, and Islamic militants plotting an assault in the Philippines. When news broke of an attack on police guarding one of France’s most popular tourist sites, AP brought the world the first live broadcast video of what was happening at Notre Dame. Then the video journalist at the scene worked diligently to acquire user-generated content. Meanwhile, in the Philippines, AP secured exclusive footage showing one of the world’s most-wanted militant leaders plotting an attack on Marawi. A video beat of 15 minutes on a terrorism story in the heart of a European capital? 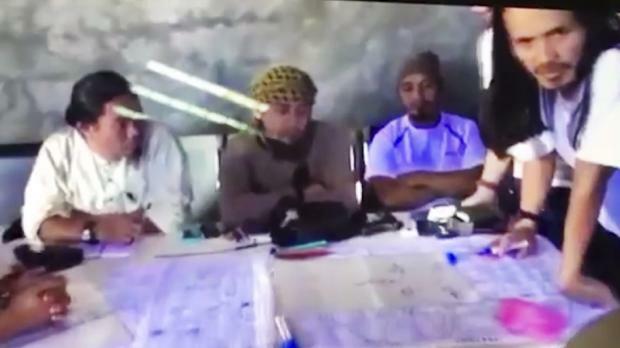 Footage showing militants in Asia actually plotting an attack? On two continents in the same week, Associated Press journalists obtained these exclusives through remarkable ingenuity and persistence. 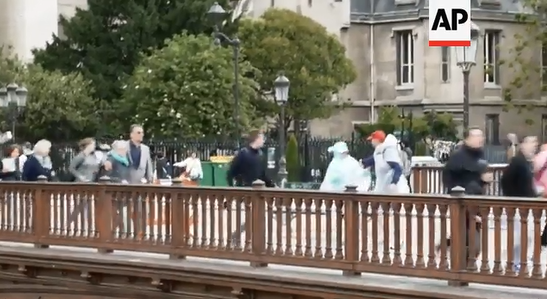 Paris Senior Producer Jeff Schaeffer got a tip from a freelancer about an incident at Notre Dame, and video journalist Nicolas Garriga rushed to the scene on a motorcycle with a LiveU, a tool that allows broadcast of live events using just cell phone signals. A police security perimeter already had been established around the cathedral, but Garriga was able to get around it on his motorcycle. He quickly set up the camera near where an Algerian doctoral student who declared allegiance to the Islamic State group had just pounced on police with a hammer, crying, “This is for Syria!” Inside Notre Dame, hundreds of tourists were immediately sequestered while police checked them one by one in a tense scene that lasted nearly two hours. As soon as his live signal of the esplanade outside the cathedral was broadcasting to the world, Garriga started asking witnesses about amateur video. While competitors were still trying to reach the scene, Garriga was negotiating with a retired American who had filmed the chaos of tourists running away from the scene. Garriga made a deal on the spot and hooked him up with text reporter Philippe Sotto for witness testimony. The video was sent to clients within 40 minutes of Garriga’s arrival. Usage was immediate and worldwide. AP customers led bulletins at the top of the hour with AP’s live shot while non-AP subscribers could show only maps and graphics. AP was also first with edited video, just minutes later. Clients used our material a remarkable 2,466 times that day. The initial live shot racked up an impressive 831 hits alone. In the Philippines, meanwhile, AP also made a major splash with exclusive video, obtained by Manila correspondent Jim Gomez. Amazingly, it showed Islamic militants – including one of the world’s most-wanted militant leaders, Isnilon Hapilon – plotting an attack on Marawi, which has become a flashpoint for a brewing insurgency. Gomez had heard from his sources that authorities had found the video during a raid to capture Hapilon. After more than a week of digging, he was granted permission to film the video off a source’s laptop. AP authenticated it via the military chief of staff and by using a third source who had a screen grab of the same meeting, which helped nail down when it was filmed. AP moved the exclusive images and a robust text story, written beautifully by Asia correspondent Todd Pitman, on assignment in the Philippines, about how the Islamic State group is breathing new life into Muslim insurgencies in Southeast Asia. For their compelling work showing different sides of the job of video storytelling on the high-stakes terrorism beat, Garriga, Gomez and Pitman win this week’s prize.